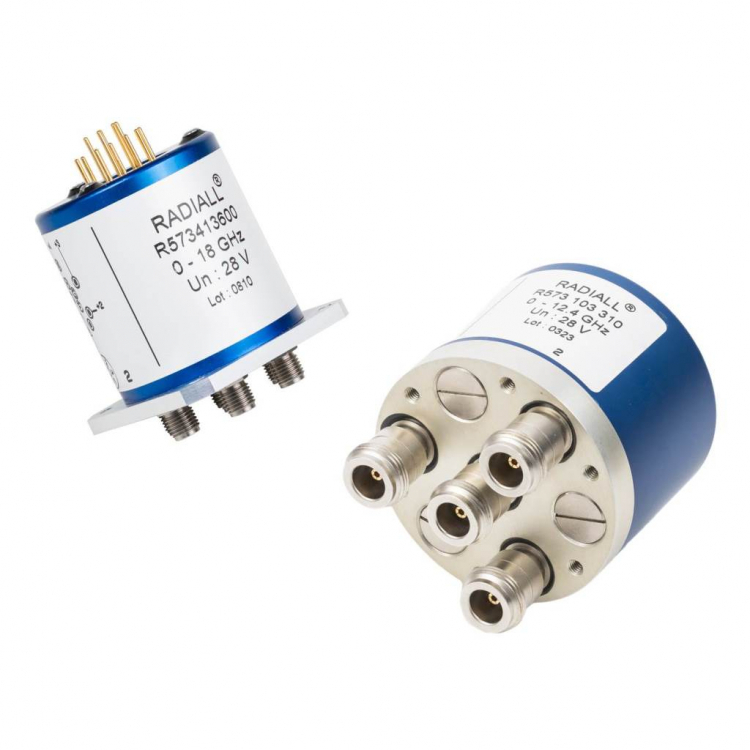 Radiall's RAMSES Unterminated R573 multithrow coaxial switches (SPnT : Single Pole n Throws) are offered in many configurations (over 40,000 possible combinations). Radiall offers reliable products, with shorter delivery times and competitive pricing. Excellent typical RF performance make RAMSES switches (50 GHz) ideal for Automated Test Equipment (ATE) and other measurement applications.